“The One Where Jetlag Wins” – The FRIENDS Episode You Never Saw (Well, Sort Of…) | THAT'S ENTERTAINMENT! Visit our more in-depth Sitcom Tuesday look at the series, with better developed commentary, starting here. Welcome to another Wildcard Wednesday! Today’s post is centered around another not-so-forgotten sitcom: Friends. (Which seems to still be playing day and night across the country.) Since it’ll be a LONG time before we reach 1994 on Situation Comedy Tuesdays, I want to give my Friends fans (of whom I know there are a lot!) something special. Today we’ll be featuring an episode that you’ve likely never even heard about. Why? Because it was retitled and rewritten after the table read! First, I must preface today’s post by explaining my overall thoughts on the series itself. I’ve been a Friends fan for a long time; it was the first show that started my massive sitcoms-on-DVD collection. I loved Friends. But as I matured and became exposed to other, and ultimately better, shows, my taste for Friends began to sour. I found that the characters would seemingly progress and then regress. Now, Friends is a sitcom and character growth isn’t something that is of utmost importance. Laughter, comedy, funny – that’s the priority – right? Absolutely. But when a show sets up characters in a way that intends and promises growth, it is necessary that the writers deliver. And they did… for a few seasons. I think Season Four marked a big turning point in the way the characters were written. Half-assed stories and easy jokes became the order of the day and all character development seemed stymied. Episodes seemed to hinge on whatever gimmicky cliffhanger they were either building to or resolving. The one good thing to come out of these middle seasons was the relationship between Monica and Chandler, which seemed to fit the show and gave the writers MILES of opportunity in terms of story. The show ran, essentially, two seasons longer than it should have. (As a lot of shows do.) In those final two years, the issues I mentioned above became increasingly evident and the show was… well… stupid is the only word I can think of to describe the series. I don’t want it to appear like I’m turning my nose up at Friends, because I’m not. However, what bothers me is the unanimous praise the show seemed to garner. It set a template (along with Seinfeld) for new sitcoms about single characters who could sit around and play whatever story the writers wanted to tell — regardless of character. Story for story’s sake. And not one story per episode. Oh, NO. Three stories per episode. In the ’50s, sitcoms ran about 26 minutes and featured one story per week. Friends ran about 22 minutes and featured THREE stories. That’s a little over seven minutes given to each story. Less entertaining, I feel (but your mileage may vary) and much harder to keep up. 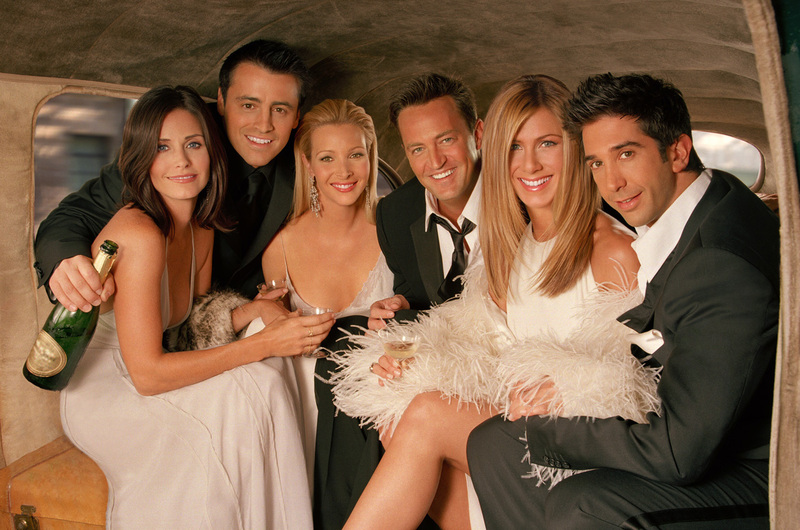 Friends produced 236 episodes over ten seasons. With three stories per episode, that comes to approximately 708 stories. I give the writers credit for coming up with over 700 new stories. But less is always more… And stories should ALWAYS arise from the characters themselves. Which means, the better defined your characters are, the better your series will be. Okay. I’m done ragging Friends. It IS a successful series. Why? Because it still makes us laugh. It may be trite, overblown, and stupid at times. But it can make me laugh-out-loud. For a sitcom, that’s the most important thing. Wow. Are you really okay with this? It’s not ideal. But we’ve worked out a schedule for Emma that I feel okay about. And I’m going with Rachel to Paris this weekend to look into nannies. ROSS AND RACHEL ENTER, CARRYING LUGGAGE. IT’S A LARGE ROOM WITH TWO BEDS. ROSS IS EXCITED, RACHEL IS OVERWHELMED. HE CROSSES OVER AND OPENS THE BLINDS. Yeah, I don’t think I can do this. It’s all just so different! If you weren’t with me, I don’t think I could have found my way here on the Metro. Rachel, it’s not that big a deal. It’s like the subway in New York. You ride it all the time. (COVERING) Yeah, sure. Every day. I took the blue line to… Ralph Lauren station. (GIVING UP) I don’t take the Subway! Well, they have taxis here too. But how will I tell them where to go? I don’t even speak French. It’ll come back to you. You got A’s in French in high school. You would have gotten A’s too if you wore skirts as short as I did. I don’t think I would have. (THEN) Come on, you’re going to love it here. (USHERING HER TO THE WINDOW) Just look how beautiful this city is. You can see the Eiffel Tower. ROSS TAKES A SOUVENIR EIFFEL TOWER OUT OF HIS BAG AND HOLDS IT UP. In the airport when you went to the bathroom. The same time I bought this. HE PULLS OUT A BERET AND PUTS IT ON. Wow. That should keep the girls away. So let’s go. What do you want to do first? I need a nap before I do anything. Oh, no. We have to stay up until at least ten o’clock. We get a good night’s sleep, we wake up, we’re on Paris time. We’re practically Parisians. We’re not Ross and Rachel, we’re (FRENCH ACCENT) “Ross et Rachel”. Oh boy, this is going to be a long weekend. Seriously, no naps. You take a nap now, jetlag wins. (SIGHS) All right, let me just get my coat out of my bag and we can go. SHE CROSSES THE ROOM TO HER SUITCASE AND OPENS IT. I just have to find it. I let Monica pack for me. It makes her so happy. SHE PULLS OUT A COAT, TURNS BACK TO ROSS. SHE SEES THAT ROSS IS LYING ON THE BED, DEAD ASLEEP. Scene C is where the gang back home finds out Estelle has died. ROSS AND RACHEL ARE STILL ASLEEP. ROSS WAKES UP AND REALIZES HE’S BEEN SLEEPING. Damn you, jetlag. (THEN) Rachel, wake up. (OFF HER SLEEPY GROAN) We fell asleep. This is exactly what I said we shouldn’t do. (HALF ASLEEP) What time is it? (LOOKING AT WATCH) It’s one o’clock. We slept for three hours. HE OPENS THE BLINDS. IT’S NIGHT OUTSIDE. ROSS STARES AT IT FOR A BEAT. Yeah, it’s one in the morning. We slept fifteen hours. (LOOKING DOWN, PUZZLED) And that gargoyle is wearing a beret. (GETTING UP) So, what do we do about your whole “getting on Paris time” thing? Well, we can either try to sleep another seven hours, or get on a plane and fly straight to Tokyo. I know. I think we’ve missed, like, eight meals. I’m gonna call room service. SHE PICKS UP THE PHONE AND PRESSES THE BUTTON. Bonjour. Je . . .suis – Yes, I’m American. Okay, we need food. (THEN, TO ROSS) He said there are no restaurants open in the area and room service closed five minutes ago. (INTO PHONE) Come on, can’t you scrounge up anything for us? You don’t have to cook it. Just a croissant. Or some cheese. Or, like, one of those fruit tarts. (INTO PHONE) Please, we’re starving here. Can’t you help us out? Por favor? (TO ROSS) That did not help. (LISTENS FOR A BEAT, THEN TO ROSS) He’s yelling at me. I want to go home. (WITH CONFIDENCE) Monsieur, je vous en prie. Nous y apprecierions beaucoup et nous pouvons vous recompenser pour avoir vous genre. (UPBEAT) Merci. HE HANGS UP AND TURNS TO RACHEL. RACHEL HAS TAKEN A SHOWER AND IS WEARING A ROBE. ROSS RUNS IN, HIS ARMS FULL OF BOOTY HE’S STOLEN FROM THE HOTEL KITCHEN. THERE ARE A COUPLE BAGUETTES, A BOTTLE OF WINE, AND A NUMBER OF CANS. (NOTICING CAN) Is that floor wax? Okay, there may have been some panicking. But look what you got! HE DARTS INTO THE HALL, THEN COMES BACK IN ROLLING AN ENORMOUS WHEEL OF CHEESE. (OFFERING) Too much cheese, madam? You are a god to me. (TASTING BAGUETTE) This bread is sooo good. By the way, do you want to know which stuff I hid in my pants on the way up here? Okay! (INDICATING CANS) We also have olives, tuna, artichoke hearts, pate, and cherries soaked in liqueur. (GENUINE) I think I’m going to cry. So where’s the can opener? You didn’t get a can opener? How are we going to open these? ROSS THINKS FOR A BEAT, THEN GRABS THE SOVENEIR EIFFEL TOWER AND SLAMS IT INTO ONE OF THE CANS. Scene J is the scene where Monica and Chandler are at the house next door. ROSS AND RACHEL ARE ON ONE OF THE BEDS. THEY HAVE THE FOOD SPREAD OUT AROUND THEM. ALL THE CANS ARE NOW OPEN. WITH ALL OF PARIS IN THE BACKGROUND, THE SCENE IS ROMANTIC AND FUN. ROSS LOOKS AT HIS HAND. THERE IS A CLOTH NAPKIN WRAPPED AROUND IT. Yeah, I think we know why the Eiffel Tower never caught on as a can-opening device. Here, I’ll feed you. Have you tried this yet? SHE HOLDS UP SOMETHING ON A PIECE OF BAGUETTE. It’s good. I swear. Taste it. (PULLING BACK) I don’t think so. Come on, don’t be a baby. Taste. (BRINGING IT CLOSER) Taste it! SHE FORCES IT INTO HIS MOUTH. (PREPARED TO HATE IT) Mmmm . . . (REALIZING IT’S DELICIOUS) Mmmm! All right, you cannot tell Monica when we get back, but I think this is the best meal I ever had. Me, too! Here, have some cheese. SHE FEEDS HIM ANOTHER BITE. HE SMILES. (KNOWS BETTER) Why are you smiling? You’re going to be mad. No, I’m not. Tell me. Every time you lean forward, your robe opens up and I can totally see everything. (AMUSED) So it’s dinner and a show then. SHE TIGHTENS HER ROBE. BEAT. RACHEL LOOKS OUT THE WINDOW. We always said we wanted to go to Paris. Why didn’t we? We were poor and then we broke up. Well, we’ll always have that. SHE SMILES, THEN TURNS AWAY TO GET MORE FOOD. ROSS LOOKS AT HER IN A WAY HE HASN’T FOR A LONG TIME. Hey, I haven’t decided if I’m definitely going yet. You have to go. How many times in your life are you going to get a chance to live in Paris? I wish I could go. SHE GOES BACK TO PREPARING HER FOOD. BEAT. What if I moved to Paris, too? Are you serious? Is that even a possibility? (IMPETUOUS) Why not? I’ll take a sabbatical for a year. They just gave me tenure. I can do whatever I want. Oh my god. That would be fantastic! I would feel so much better taking this job. And we’d have so much fun! You have to do it! (CAN’T BELIEVE HE’S SAYING IT) Okay. (ARMS IN THE AIR) We’re moving to Paris! SHE QUICKLY TIGHTENS HER ROBE. THEY HUG AND WE . . . Okay, but if she doesn’t, then I’m gonna call her. It’s not just that I feel guilty. I can’t take one more change in my life. SHE GOVES HIM A REASSURING TOUCH. ROSS ENTERS. Terrific. Really great. (EXCITED) And guess what…I’m moving to Paris. 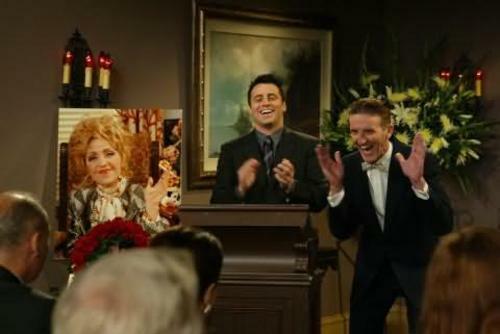 JOEY STARES AT HIM. THEN JUST WALKS OUT THE DOOR. He seems happy for us. You’re really moving to Paris, too? Is New York suddenly uncool and nobody told me? I’ve just always wanted to live in Europe. And now that I have tenure, I can do whatever I want. So you and Rachel must have really had fun. Oh yeah. It was the best. I’m sorry. I should’ve been more specific. Did you sleep together? Seriously, twelve years of dinosaur stories and this you’re going to “never mind”? It’s like…we were different over there. I don’t know why. ‘Cause the rest of us weren’t there? So do you think, like, something, could happen? I don’t know. Maybe. I mean, the two of us in Paris? Who knows? (ENJOYING THIS) Easy. Let’s see what happens once we’re there. (EXCITED) All right, but if you want, I can talk to Rachel, get a read on her, have the other guys drop some hints about how you feel, then we’ll all report back to you-(HEARING HERSELF) Wow, maybe we really are the problem. 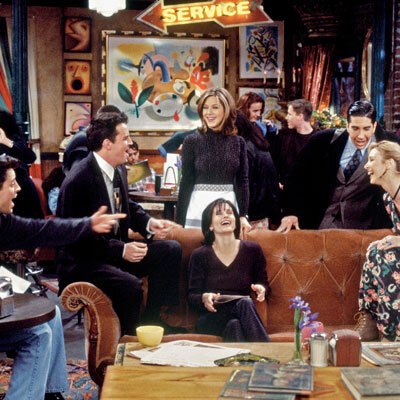 Scene R is the same scene with Monica and Chandler that happened in the show except they’re in their apartment back in New York. ROSS HAS JUST TOLD THE DEAN OF FACULTY ABOUT HIS PLANS. You can’t take a year off to go to Paris. (COCKY) Oh, I think I can. I’ve got a little thing called “tenure”. What? Do whatever you want? Professor Geller, you are at the bottom of the list of tenured professors who would love nothing more than to spend a year in Paris. You have to wait your turn. Would it make a difference if I told you there’s a woman I’ve been in love with since I was fifteen? (OFF THE DEAN’S LOOK, TO HIMSELF) No means no, Ross! Scene W is the scene where Al Zeebooker calls to say Estelle has died. Scene X is a scene with Monica and Chandler at the house. There are some slight changes and no Janice. ROSS ENTERS. RACHEL IS THERE. SHE’S HAPPY, FLYING. Bonjour! Well, I did it. I officially took the job today. I am so excited! Knowing you’re going to be there makes it perfect. (TENTATIVE) Yeah, um. . .
Oh, they sent me stuff about apartments. And a map that I do not understand. You are going to be in charge of that. Wait. Look what I got us to celebrate. A baguette with pate and cherries. Actually, I couldn’t find pate, so it’s chopped liver. And cherry pie filling. It’s disgusting. I’ll throw it out. SHE STARTS TO THROW OUT THE FOOD. ROSS STOPS HER. (GETTING IT) Oh, no. Nooo. Why? The university won’t let me go. I though you could do anything you wanted. They gave me tenure, they didn’t make me king. At least, that’s what the Dean of Faculty yelled down the hall after me. (THEN) I’m so, so sorry. It’s not your fault. I know how much you wanted to go. Maybe I won’t go either. Now I can’t imagine doing this without you. You have to go. This is an amazing opportunity. You’re strong enough to do it on your own. You can’t not go because of me. I guess I’m going then. HE HUGS HER TIGHTLY. JOEY ENTERS AND SEES THEM. I’m not going to Paris. RELIEVED, JOEY JOINS THE HUG. AND WE. . .
That’s the story as originally intended. What do you think? I thought the story we ended up with was much funnier and more polished, but this story was better at building up to Ross and Rachel’s romantic reunion in the finale. (In fact, I would have reunited them earlier in the season and have them work through their assorted issues before ending up at a truly happy and more permanent-seeming resolution in the finale.) Anyway, this script serves a cool souvenir and a fascinating look at what we almost saw. Tune in next week for another Wildcard Wednesday! And remember, tomorrow is Xena Thursday and we’re continuing our countdown. You DON’T want to miss it! Really neat post. I can’t wait for you to cover Friends, as it’s one of my favorite sitcoms. Stay tuned for full coverage of FRIENDS, coming in the summer of 2018!